Cash Case reached base twice with a hit and a walk. He also scored a run in the loss. 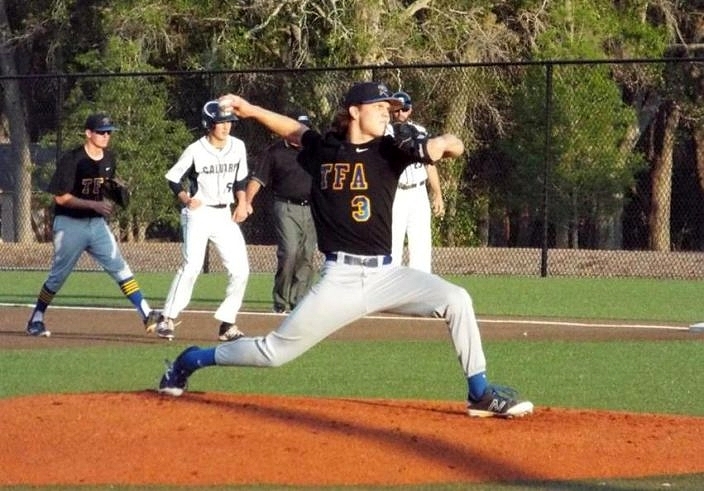 The First Academy Royals gave the Calvary Christian Warriors all they could handle Tuesday night, but in the end, the special season for the Warriors rolls on with a 3-2 victory over the Royals in the 4A regional championship. 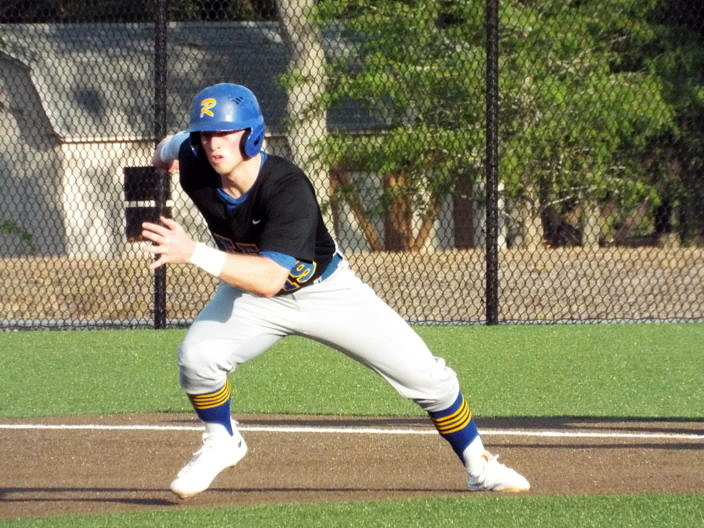 With the game knotted at two, and runners on first and second, a perfectly-placed bunt from Marco Benedettini drove in the go-ahead run for the Warriors in the bottom of the sixth. Graham Hoffman came in and closed the game out in 17-pitches in the seventh, and the Warriors storm into Fort Myers undefeated. Nolan Hudi dominated on the mound for the Warriors (28-0) to the tune of nine strikeouts in six innings of work. Hudi allowed two runs, one earned, on just three hits. The stellar performance was needed when runs were at a premium for both teams. Twice in the game, the Warriors loaded the bases but didn’t capitalize. Hudi found himself in a jam of his own with the bases loaded and one out in the top half of the sixth. After a hit batter drove in the tying run for the Royals (23-5), Hudi kept his composure and got the next two batters to strike-out swinging to end the inning and open the door for Hoffman. The Royals got a strong start from sophomore Joseph Charles, who went four innings, allowing just one run on two hits, striking out five. Kyle Holden drove in the only two runs on a 1-for-2 night. Cash Case and Raymond Fields tallied the other two hits for the Royals, who unfortunately failed to capitalize on a bases-loaded opportunity late in the game. Eric Kennedy and Cavan Ingram both tallied RBI’s for the Warriors. Kennedy did so on a 2-for-3 night. Hudi also added a hit on a 1-for-4 night and Justin Bench went 1-for-2. 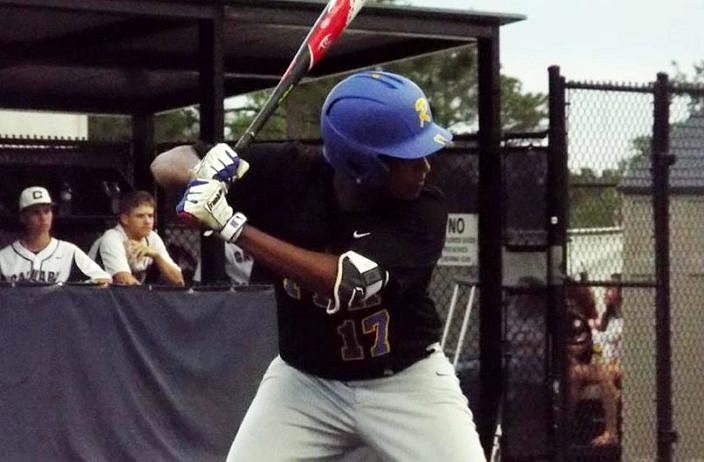 Richie Mize scored twice for the Warriors, including the game-winning run in the sixth. The Warriors now turn their attention to the final leg in the journey. Sitting at 28 wins and zero losses is special. But to finish off the quest for an undefeated season with a State Championship would be something truly remarkable. The final lap begins next week for the Warriors as they chase history.